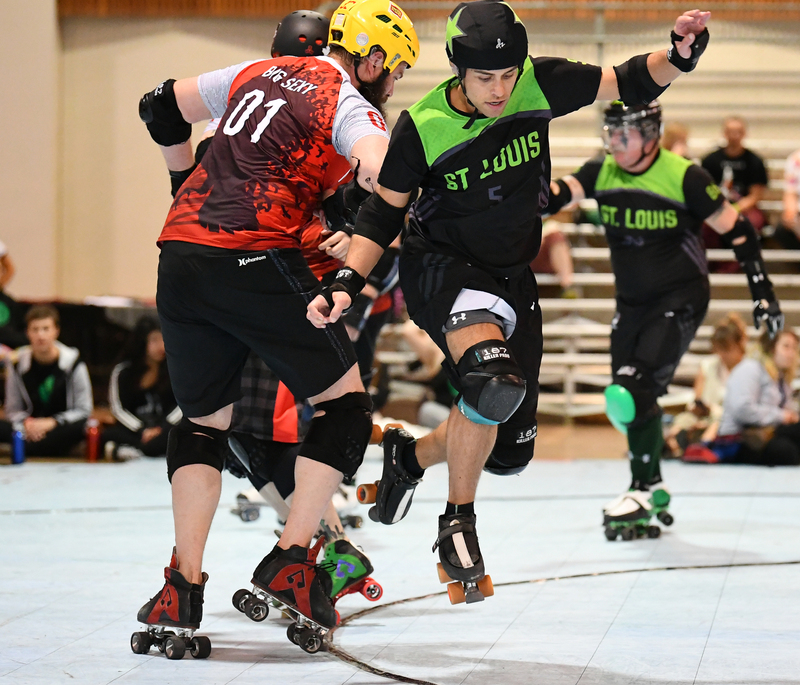 Precisely one year ago, St. Louis-based GateKeepers Roller Derby recorded a new benchmark within the Men’s Roller Derby Association (MRDA). 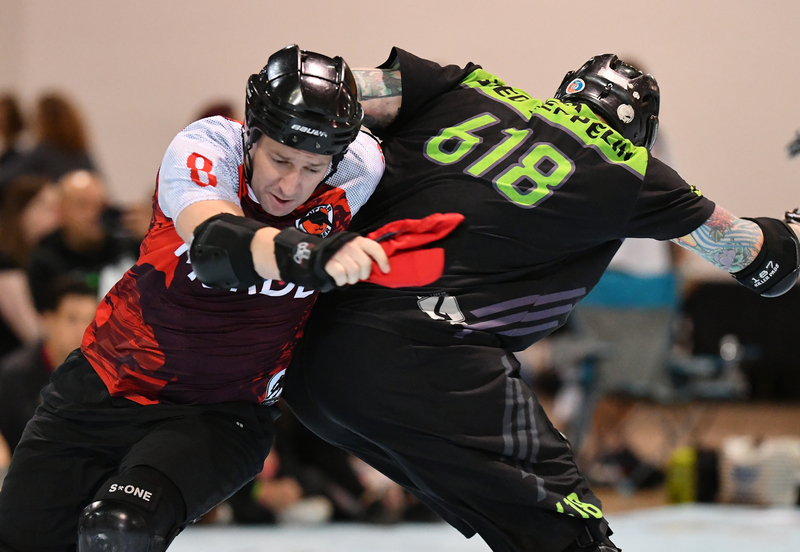 By claiming the governing body’s 2017 championship en route to their third straight trophy, the powerhouse pushed their historical overall medal count to six, which solely positioned them as the most-decorated league in the MRDA. The “three-peat” notched last October fully supplanted them as the current kingpins of the flat-track sport. With success in their back pockets, and with 90% of their 20-skater charter returning in 2018, one could have assumed that the subsequent season would see the GateKeepers simply maintaining that legacy. Actually, there is a potential monumental chapter to be written this weekend that exceeds prior folklore. 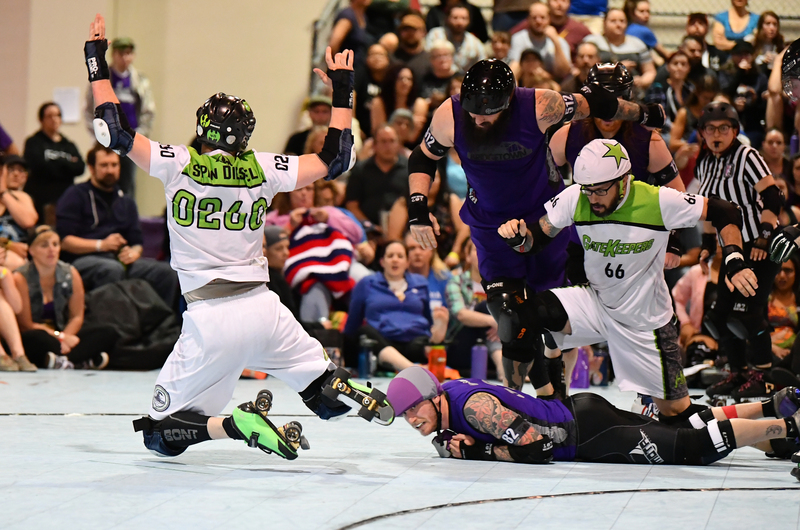 At the 2018 MRDA Championships that launches Friday in Salem, Oregon, the GateKeepers hope to conclude the three-day tourney as a first-ever, four-time champion. St. Louis (9-0) is the top seed within the twelve-team bracket and receives automatic placement to the event’s quarterfinal round. 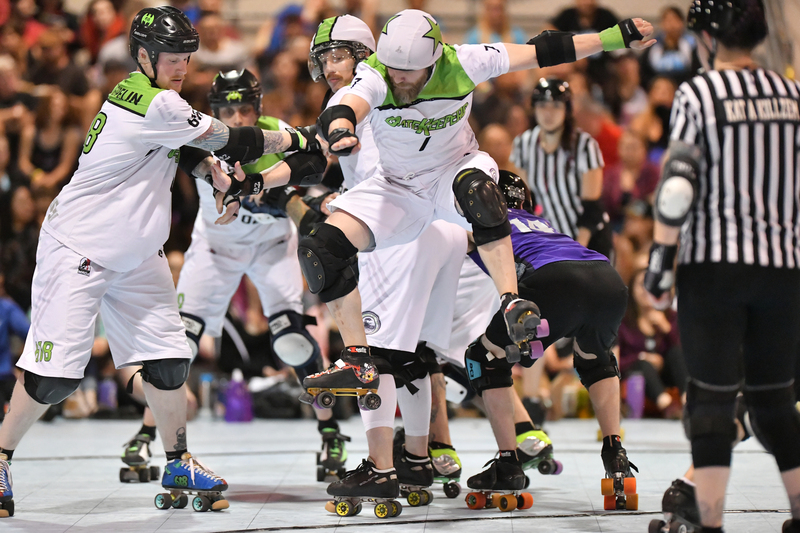 As a result, they compete in a 5 pm Pacific (7 pm St. Louis) contest against the winner of the #8 Magic City Misfits vs. #9 Philadelphia Hooligans play-in game that’s held earlier in the day. The GateKeepers pushed their MRDA-sanctioned undefeated streak to 41 games after a three-game sweep at their hosted Sibling Rivalry Invitational held at Ballwin’s Midwest Sport Hockey in late-June. 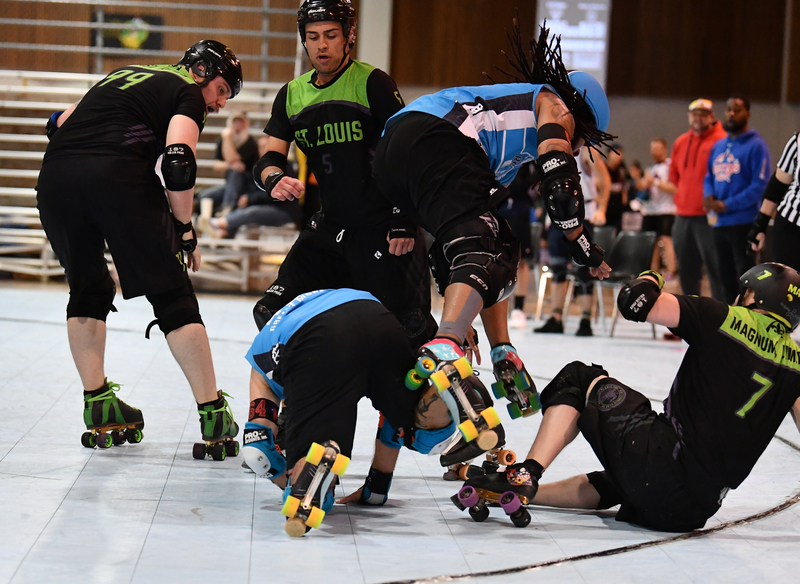 To prepare for the Western trip, the squad held a friendly mash-up against other MRDA skaters at a hosted “Super Derby Brothers” event in September and scrimmaged last week against St. Louis siblings Arch Rival Roller Derby, who are currently ranked fourth globally by the Women’s Flat Track Derby Association (WFTDA). 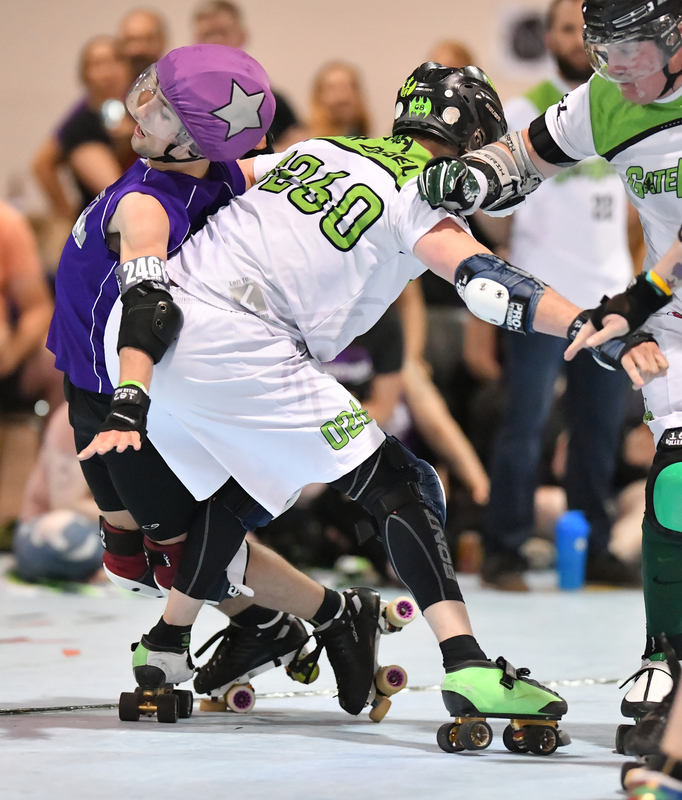 Smartly, the GateKeepers concocted an additional layer of simulation at a recent local scrimmage that consisted of opponents and spectators intentionally throwing barbs, insults and jeers. This strategy is crucial as GKRD will skate in an environment this weekend that might not contain fuzzy feels. Alongside the co-captain, jamming is paced by veterans Shane Bower, David Metcalfe, ScreechAround and MRDA Champs newcomer Bruno Scars. 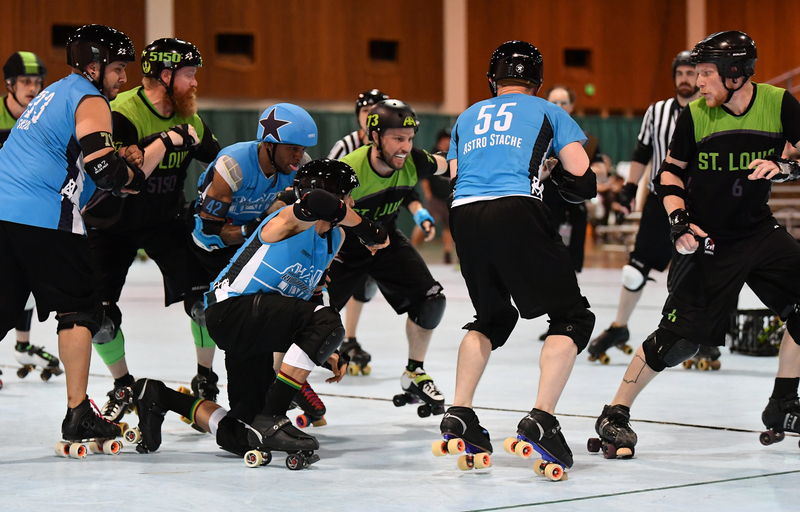 Blocking is paced by a long-tenured corps that consists of co-captain Percy Controll, Hulk, Spin Diesel, The Saint, Double Excel, Bled Zepplin, Kyle Stark, Wrecking Bill and Sir Nix-A-Lot. Additional firepower is supplied by jammer Last Rites and blockers Nate Bower, Lumberjerk and Matthew Uttendorf. Also on this year’s charter are Michael D’Amaro and Monster Jam. 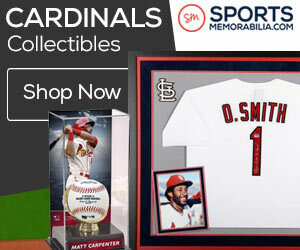 St. Louis eagerly awaits their Friday quarterfinal opponent, whether it is eighth-ranked Magic City or ninth-ranked Philadelphia. 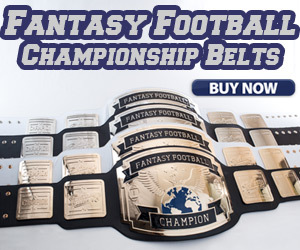 Click on the image to see the MRDA Champs bracket! Although the lower-ranked Hooligans from the City of Brotherly Love possess the better overall record (15-1) in comparison to the Floridians (2-3), the Misfits claimed a tighter differential to the GateKeepers (a 210-111 loss at Midwest BrewHaha) compared to the Hooligans (a 268-69 setback to St. Louis at Sibling Rivalry). 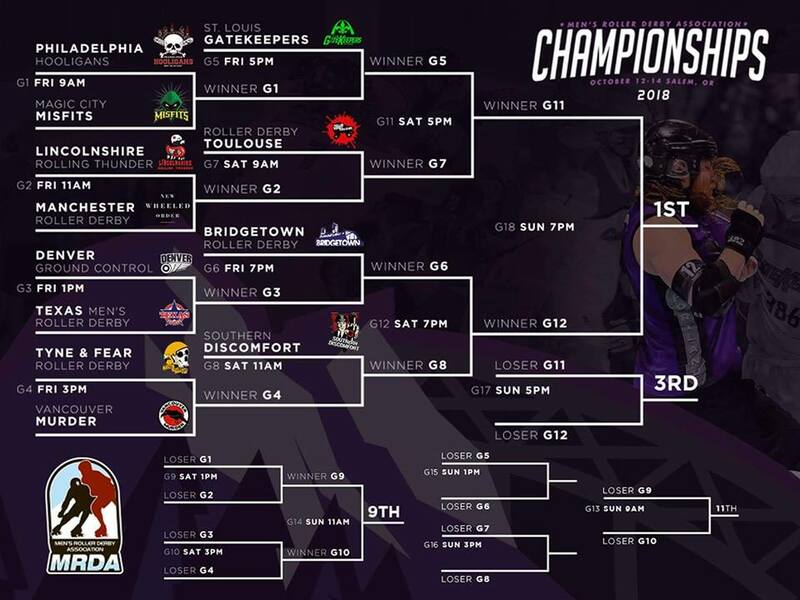 The event’s host, second-seeded Bridgetown Roller Derby, netted a personal franchise best at last year’s MRDA Champs with a silver medal finish. In fact, the Menace (4-1) pushed St. Louis to the limit in the finale. 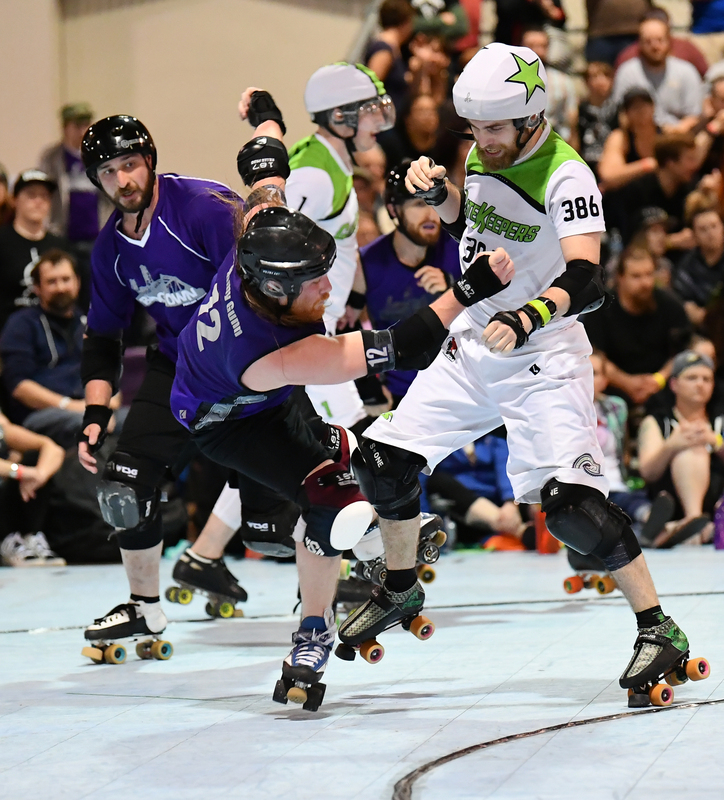 Many of the team’s familiar faces, such as jammers Tofer Griffin, Don Juan the Deviskator, Sarsauge and blockers Tommy Gun and Cozmo Damage, plan to reach new heights and claim their inaugural trophy. 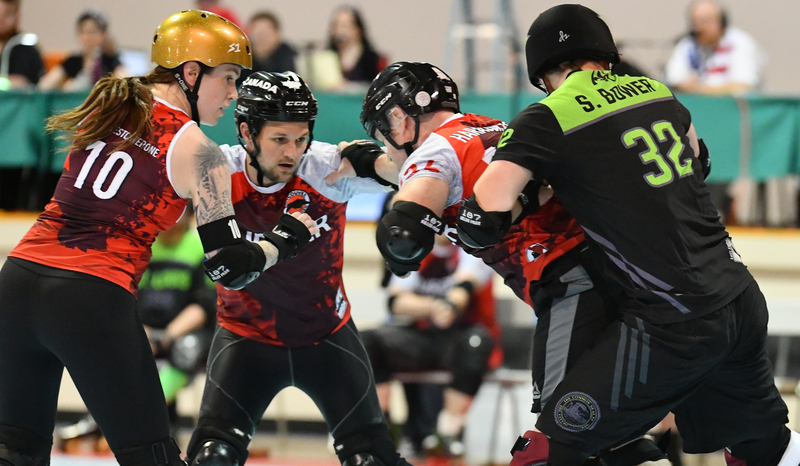 Historically alongside the GateKeepers, Des Moines, Iowa-based Your Mom Men’s Roller Derby has also won the MRDA title for three consecutive seasons (2012-14). However, a three-game Salem sweep breaks the deadlock and firmly supplants St. Louis as the legacy franchise. A live stream of the entire three-day event can be purchased for $18 by going to this link.